In her latest Newsletter Jacqui Norman reveals another new fotoLibra feature which is actually still on the drawing board. It’s called autoFocus, and it’s envisaged as a rolling newsfeed of stories of interest to to picture buyers and photographers. I want it to appear as a tickertape band rolling across the screen but apparently there are technical problems with that which, though surmountable, are too development time intensive to commit to. We will see. In whatever form it eventually appears it will feature stories drawn from a glittering variety of sources, from our favourite personal blogs to authoritative statements and declamations from industry bodies. Of course it will have to be selective simply because of the sheer volume of information available on the net, but it will not favour money, influence and brand loyalties over iconoclasm, plaudits, discoveries, brickbats and advice, or indeed vice-versa. It will not take sides on Canon vs. Nikon debates (or Exakta vs. Thornton-Pickard for our Heritage members). But as you will realise these are all fine thoughts during work in progress. What we finally release may be quite different, but whatever happens it will only be as good and as useful as its source material. We want to make this as broad ranging as possible. If you enjoy a photo blog, forum or website, and better still if you run or write one, please let us know so we can add it to autoFocus. Obviously it must have an RSS or Atom feed enabled, but don’t you worry your pretty little head about that, we’ll check it out. We very much hope you’ll all enjoy it and find it useful, and we also hope you’ll tell us what you want to see. At the end of every year we do a round-up of all the fotoLibra Pro Blog postings throughout the year. Though we say so ourselves, it’s a useful reference to the way fotoLibra works. GREAT EXPECTATIONS tells you precisely what to expect when you go on line to try and sell your photographs. It’s based on the fotoLibra experience, but we don’t think it’s going to be that much different from any other agency. 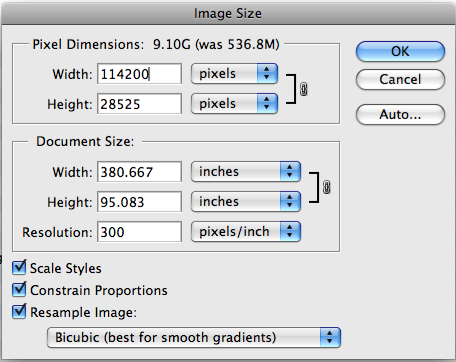 THREE HUNDRED PIXELS PER INCH tells you why this is an upload requirement for fotoLibra, and how to achieve it. Yes, we do know resolution is an irrelevance as far as screen-based media goes, but read the piece carefully and you may just comprehend why we demand it. So we’ve happily been sending links to these and other various blog postings, only to find people complaining they’re always directed to the same (and not necessarily relevant) entry. The reason appears to be that we used bit.ly to abbreviate the URLs of our blog postings. We never knew it had a restricted shelf life, but certainly on the fotoLibra site all the carefully input bit.ly abbreviations over 6 months old defaulted to the most recent blog post. So we’ve laboriously rewritten the links coding for the fotoLibra 2009 Pro Blog Index for the whole of 2009. And now it should work for you. Sorry! I really can’t get my head around microstock websites. The bit I can’t understand is why the participating photographers think so little of their work that they’re prepared to value it so cheaply. Someone recently asked on a Canon forum “Has anybody had experience of using Fotolibra to sell pictures?” Having just helped send out over 100 sales notifications so far this week I thought I could answer that, but my application to sign up to the forum has not yet been verified. They are not right up-to-the-minute (the market has almost stiffened and died since these figures) but none the less I am astounded at how little these supplying photographers are prepared to accept. Have they no pride in their work? I’m a climate scientist in Bergen, Norway. Starting in 2008, I have been contributing to a number of stock photography sites. I started out with iStockphoto, and after a while I joined Shutterstock and Dreamstime as well. Now I have quit Shutterstock, largely because of their ridiculous royalty scheme (they pay you $0.25 for each customer download). I’m currently trying out SnapVillage, Fotolia, 123rf.com and the German agency PantherMedia. May I correct you? You are not actually trying out stock photography sites, you are trying out MICROstock photography sites. Proper picture libraries such as fotoLibra.com sell fewer images than the microstock sites because we value the work of photographers more highly, and therefore charge accordingly. You would probably only sell a fiftieth of what you could sell on a microstock site through fotoLibra. But you would probably earn a hundred times as much. Our average picture sale for a rights managed image is €56 / $77 / £51. Standard fotoLibra photographers get 50% of that. So one fotoLibra sale would normally net you $38.50 / £25.50. That’s the equivalent of 154 sales through Shutterstock. I think that’s a very compelling argument. I have no doubt the microstock apologists will disagree. In fotoLibra’s offices in London and Harlech we use Zen as our service provider, and we have no complaints about them at all. In fact we can heartily recommend them, having used them for the past five years. They’ve just upgraded our broadband service from 8Mbps to “up to 20Mbps”, which is very exciting. Before they upgraded us I tested our speeds. It averaged 4.79Mbps download, and 0.36Mbps upload. That’s ADSL for you; if we had straightforward Digital Subscriber Lines like they do in Germany instead of Asymmetric Digital Subscriber Lines,we’d be able to upload and download at the same speed. That’s why downloading an image from fotoLibra is over 13 times faster than uploading an image to us. We’re sorry, but unless you’ve got DSL there’s not a lot we can do about it. Back to our “up to 20Mbps” upgrade. It came on stream this morning, so I tested our speeds again. 6.23Mbps download, 0.67Mbps upload. Not as thrilling as I’d hoped. That’s 31% of the potential speed. We were getting 60% of our potential speed on the previous deal. Why should the percentage decrease so greatly? Still, it’s a little faster, so that is a good thing. But have you noticed that “UP TO” always actually means “LESS THAN”? 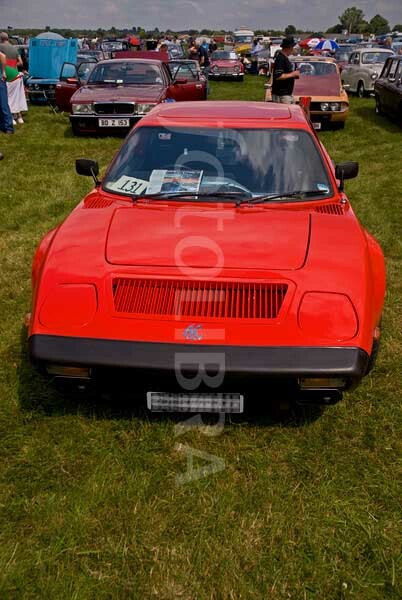 As the owner of this rare car, I would request that this image be deleted from this site on the grounds of privacy. If my car was parked outside my house and it was captured on Google’s street maps facility, at least they respect an individual’s privacy by blurring out vehicle licence plates. This aspect also extents to images in the media such as newspapers and TV broadcasts. Additionally, I was not approached or contacted regarding the inclusion of my car for a third parties financial gain. I agreed to appear at this show because the organiser of this event is a personal friend. Please respect my request – thank you. This is a perfectly polite and reasoned request. But what is at stake here? We’re under no obligation to take down images because the subject of the photograph objects to his property being depicted. If he doesn’t want his car to be seen he shouldn’t take it out in public. Yes, the photograph was posted on fotoLibra for the purpose of financial gain. We haven’t yet found someone who is planning a calendar of AC cars, but we always live in hope. You can’t stop anyone taking and publishing a photograph of your house, and it’s a lot easier to find out who lives in a house than who owns a car. Just check the electoral roll, or the census. We as private individuals can’t find out who owns this car by looking at the registration plate (which we’ve pixelated out here). But private parking companies can get a driver’s name and address simply by submitting the vehicle registration number to the DVLA and filling in a form confirming that they are pursuing an alleged parking offence. The DVLA charges £2.50 a time for details from its ‘confidential’ database of 38m drivers. Income from this lucrative sideline in selling our personal data has risen every year from £4.7million in 2004-5 to £9.2m for 2009-10. The owner of the car might find more reason to complain about this collaboration than about an enthusiastic photograph in a picture library. I was pointed to a couple of blog postings yesterday, one called The Myth of DPI and the other titled Why DPI Does Not Matter. Their arguments are logical and faultless. Their reasoning is sound. The message they are trying to get across is correct. But they are both wrong. So why are they wrong? 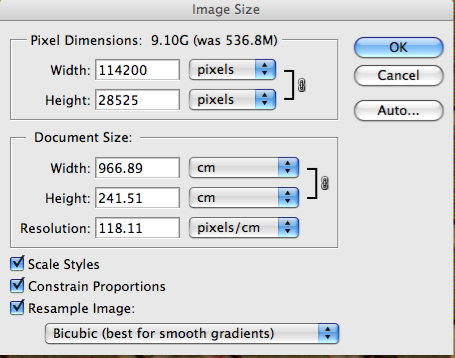 The option you have is of choosing “pixels/inch” or “pixels/cm”. Not “dots/inch” or “dots/cm”. Adobe Photoshop is concerned about your digital file. It doesn’t give a monkeys what you intend to do with it later. So it offers you ppi, NOT dpi, which is used in printing terminology. 300 pixels per inch equals 118.11 pixels per centimetre. Our earnest bloggers are absolutely right in that ppi is irrelevant when you’re showing images on a screen. But dpi is relevant when you print those images, because then you can figure out how large you can print the image before those annoying little pixellations get in the way and become visible. 300 dots per inch is generally enough for the human eye to be tricked into seeing continous tone. fotoLibra has always demanded that images uploaded to its site should be 300 ppi, for two perfectly valid reasons — and one utterly compelling one. You can read about them here. I agree with my friends Ben Gremillion and Svein Wisnaes that resolution counts for nothing on the web. So it generally doesn’t matter, until you come to selling your photographs. When you are selling photographs to book publishers who need to print them at 300 dots per inch, it’s common courtesy to supply them at 300 pixels per inch. Otherwise they might buy them from someone who took the trouble to go the extra step.